Our cemeteries offers a final resting place for the deceased in well-maintained green space. 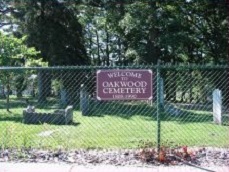 The Oakwood cemetery is a historic landmark; many of Northville's founding citizens, leaders and veterans are buried there. The Rural Hill Cemetery is a larger, sprawling park-like setting with plenty of trees and a small lake. It has a special section for veterans. Both cemeteries are maintained by the Department of Public Works. Walkers are welcome but please be respectful of the grave sites and headstones; do not damage the property under penalty of law.